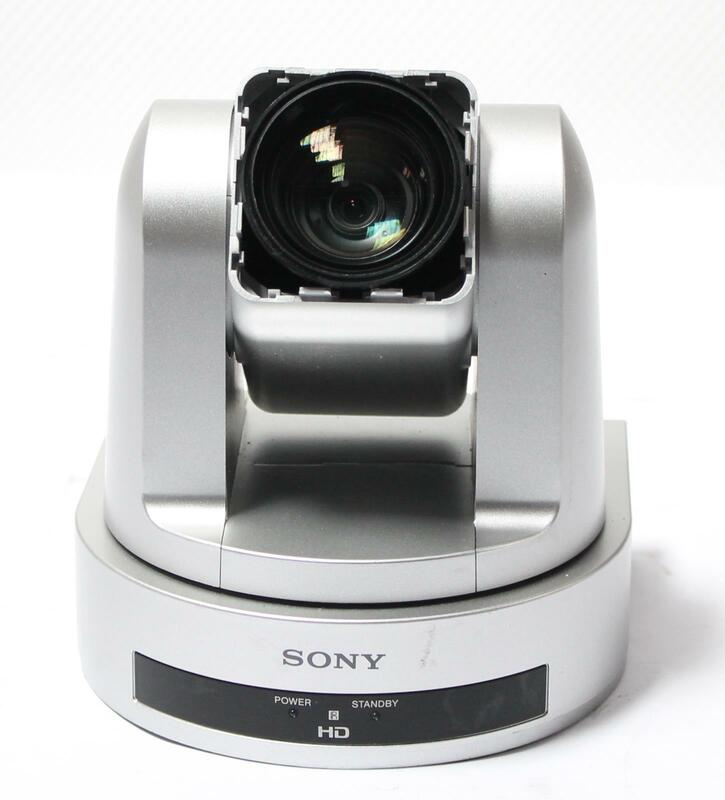 Up for sale is a used Sony SRG-120DU 2.1MP 1080p HD Remotely Operated PTZ Camera with USB Output. Power supply, remote or other accessories are NOT included. The SRG-120DU is a desktop PTZ camera that captures high-quality color video images in corporate boardrooms, huddle spaces, lecture theaters, training rooms, medical suites and classrooms. 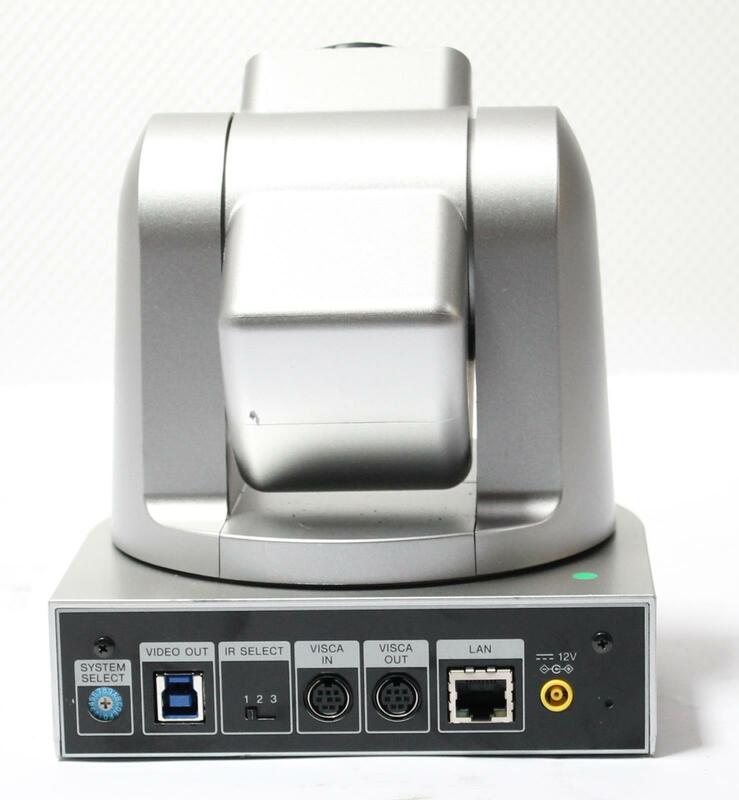 Connected directly to a PC via USB3.0, or controlled remotely over standard IP networks, it’s an ideal partner for software-based videoconferencing systems, UCC (Unified Communications and Collaboration) and multimedia streaming systems. The camera's sensitive 1/2.8-type Exmor™ CMOS sensor assures detail-packed Full HD pictures with a high horizontal resolution, ensuring every conference participant is seen clearly. High frame rate operation at 60fps delivers more natural, blur-free reproduction of moving subjects. Excellent low-light sensitivity makes the SRG-120DU ideal for use in dimly-lit meeting spaces. Unique to Sony, View-DR technology expands dynamic range for clear images under harsh backlighting with extremes of light and dark in the same scene. XDNR technology reduces image noise for crisp reproduction of still and moving objects in poorly-illuminated rooms, even when digital zoom is used. The camera’s wide field of view makes it easier to cover everyone in the room during videoconferences. Smooth, silent PTZ operation with 16 preset camera positions (when controlled via VISCA) makes it quick and easy to re-frame shots without disturbing presenter or other audience members. 12x optical zoom is boosted further by 12x digital zoom for high-quality close-ups of subjects far from the camera – such as a lecturer on the other side of a large auditorium. Inclusion of a USB 3.0 interface allows high-speed data transfer of uncompressed 1080/60p video to a connected PC. Connection over USB 2.0 supports High Definition video transfers at up to 720/15p. V4L2 (video for Linux) is also supported. As well as operation by optional joystick or IR remote, the SRG-120DU can be conveniently controlled using PC application software that allows remote control via UVC or VISCA over USB, as well as VISCA over IP and RS-232C.